Today the United National Congress opened nominations for all Local Government seats and for General Elections seats which we do not currently hold. 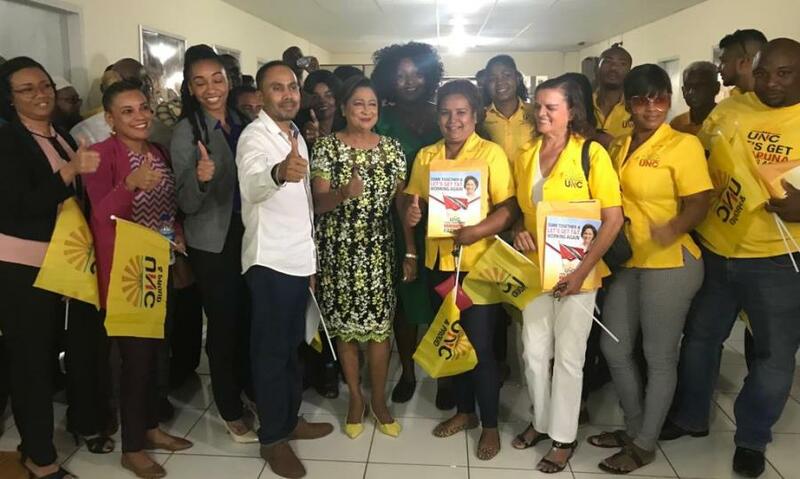 The UNC is heartened by the enthusiastic response to our call to action and we thank the hundreds of people who came out on the first day to pick up nomination papers. On day one of nominations we have had 84 persons picking up nomination forms for Local Government Elections and 20 persons for General Elections. The UNC will employ an “all hands on deck” approach for all upcoming elections. Trinidad and Tobago is in dire need of good governance and effective leadership. The past four years of PNM rule has put our country almost 40 years backwards. Now is the time for all persons who want to take Trinidad and Tobago to come forward and take your space at the decision making table. We reiterate our call for all those interested in national development to step up and claim your space.